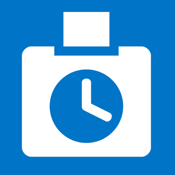 Microsoft Dynamics Time Management is a tablet application that enables users of Microsoft Dynamics GP to create, view, edit and submit timecards. The application offers users the flexibility to manage vacation and sick time in Payroll or enter time against benefit time codes if using Human Resources. 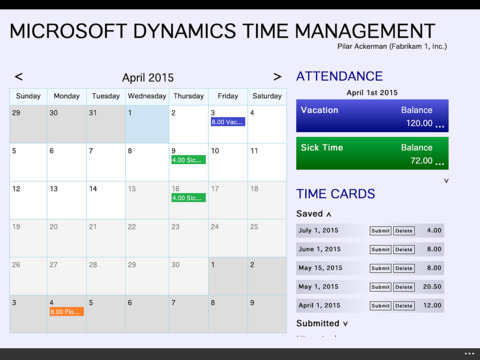 Microsoft Dynamics Time Management integrates with Microsoft Dynamics GP through Service Based Architecture (SBA). When a user edits or submits a timecard using Microsoft Dynamics Time Management, the information automatically updates the Microsoft Dynamics GP database and is entered into a workflow process. This application is dependent on Microsoft Dynamics GP2015 R2. This application is supported with US English only.